Why choose Inspects for your next home? In Georgia, Home Inspectors are not required to be trained, certified or licensed. But at Inspectics every Home Inspection is conducted by a Certified Professional Inspector so you get more than just a Home Inspection. Our goal is to complete your inspection thoroughly and deliver the report as soon as possible. We will go out of our way to accommodate your schedule. We understand that our services are critical to a smooth real estate transaction and are also important to make you feel comfortable and confident with your new purchase. That is why every Home Inspection comes with a Free Infrared Thermal Scan. An infrared scan can reveal issues in a home that are not visible to the naked eye such as areas of heat loss, air-conditioner leaks, areas causing energy loss, plumbing and roof issues, electrical problems and pest infestation. Each inspection also includes a Free RecallChek© service, which looks for recalls on all the home appliances, water heaters, and HVAC systems and a 90 Days Warranty Limited Structural and Mechanical Warranty. Your Certified Home Inspection includes a Buy Back Guarantee provided by the International Association of Certified Home Inspectors. If your Inspectics Inspector misses anything, they’ll buy your home back. Guaranteed. When it comes to buying a home, the home inspection is a critical piece of the package. A proper Home Inspection can give you a piece of mind knowing exactly where the home stands and if work should be performed to the home either before or after the sale. When it comes to Home Inspections, knowledge matters! Inspectics is the premier Home Inspection services company serving the greater Atlanta area. 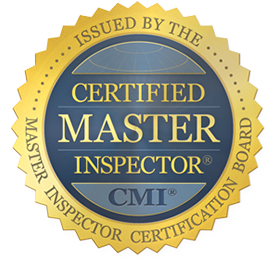 Owner Fedor Cardozo is a Certified Master Inspector with over 10 years of experience in the Home Inspection, Radon Mitigation, and Environmental Assessment services industry. His commitment to you, the customer, makes Inspectics your best partner in the home buying process. Our services include Home Inspections, Radon Testing and Mitigation, and other environmental testing. 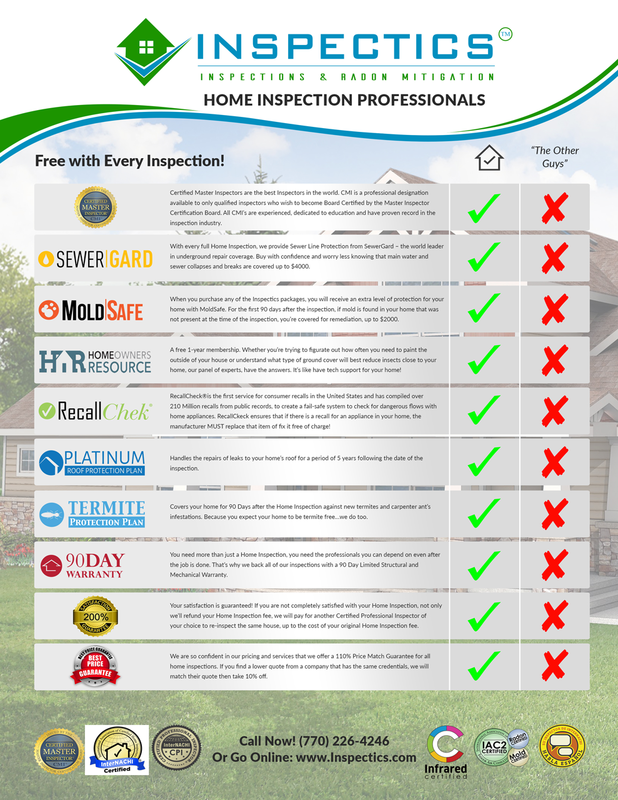 Once you review our qualifications and certifications, you will see why we are the best choice for your Home Inspection.